We arrived in a hot and humid Hong Kong early on Saturday morning after an eleven hour flight with Cathay Pacific. We were travelling with Rita and Brian Shell who were visiting their son, Jonny and his wife Ayuko who lived in a spacious apartment amongst the green hills overlooking the city. Hong Kong was a former British colony in southeastern China and was a major port and global financial center. 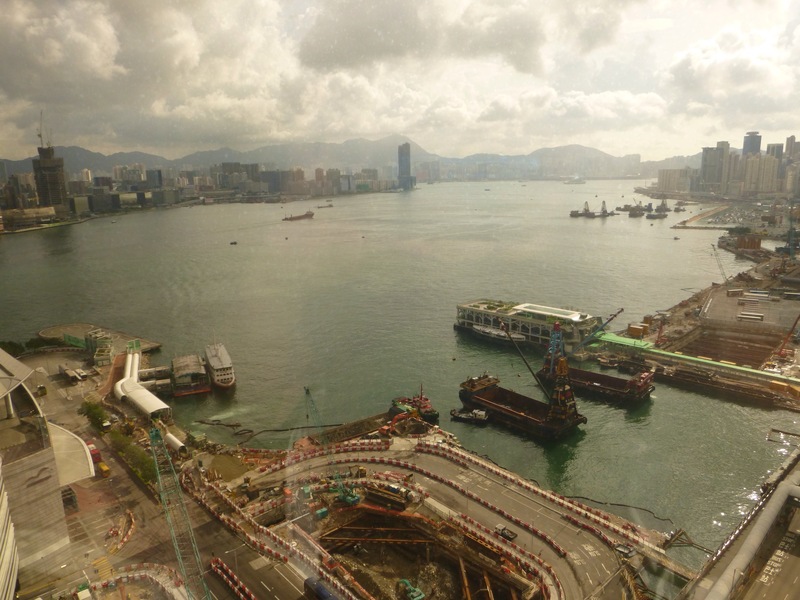 Our hotel room on the 24th floor overlooked the busy harbour and we spent many happy hours admiring the ever changing scenes far below us as the harbour ferries plied between the islands. We watched barges chugging to and fro loaded with building materials, huge cruise ships sedately entering and leaving their luxury terminals and helicopters buzzing in and out from a helipad just below our window. 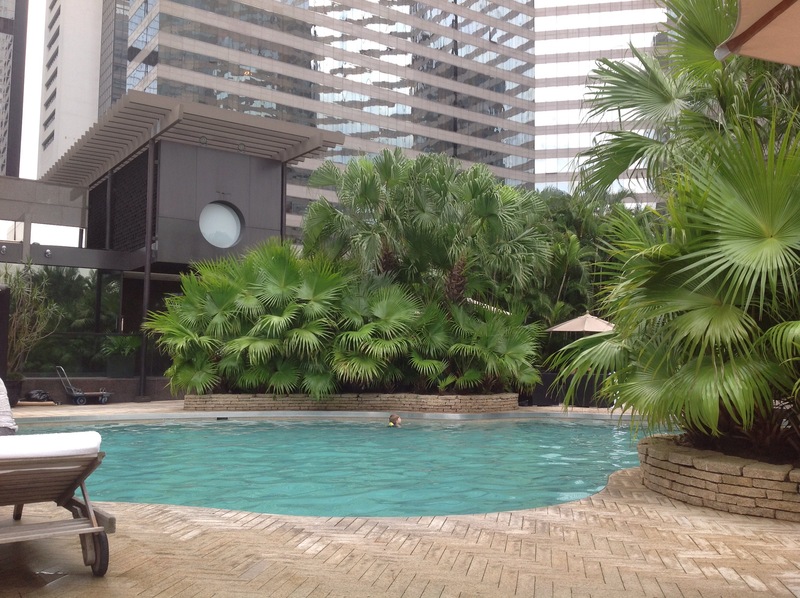 The hotel had an outdoor swimming pool on the eleventh floor almost completely surrounded by high rise buildings; you had to crane your neck in order to see the sky. Swimming was the only exercise possible in the open air without coming out in a sweat. All the buildings were heavily air conditioned and it was always a shock when you stepped outside from the cool interior to a blast of hot, moist air. On Sundays the public parks and gardens were filled with colourfully dressed, dark haired women mainly from the Phillipines and Malasia. These were the amahs, the word means “little mothers” and they were employed by expatriate families to carry out domestic duties six days a week. Sunday was their day off and thousands of them congregated in the public parks and gardens to spend the day together before returning to their employers to carry out domestic duties, cooking, cleaning, taking care of the children and running errands. The amah would normally have a small room of her own, usually off the kitchen. 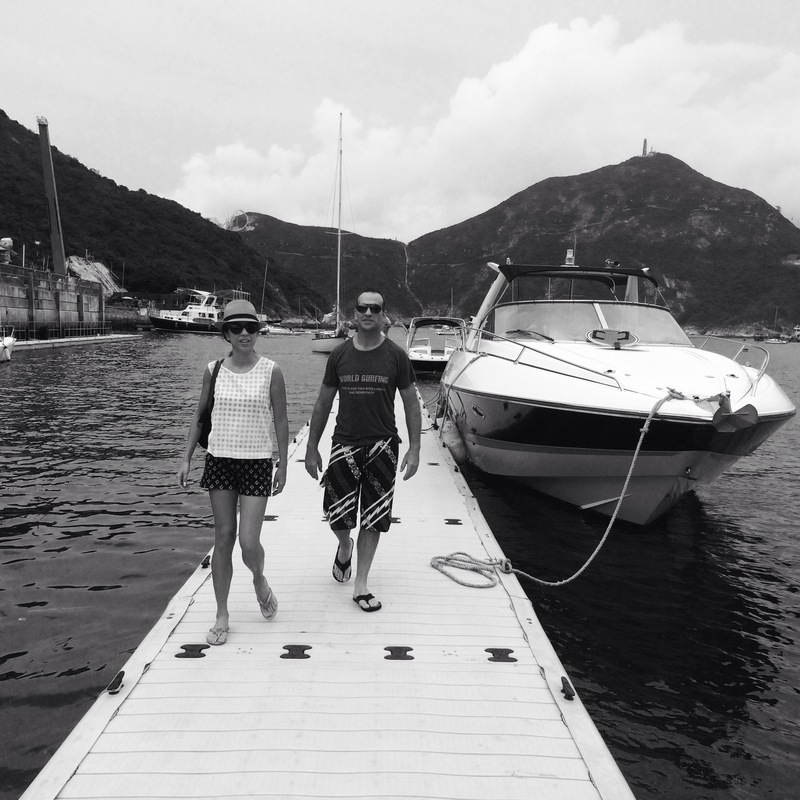 Jonny kept a Sunseeker power boat in Aberdeen, a local marina and he and Ayuko took us out on the boat to show us the coast along Hong Kong Island. We went to Repulse Bay and along the coast before mooring up for lunch at a restaurant on Middle Island where you cooked your own food on charcoal barbecues. The weather was extremely warm, more than 30° with high humidity and, although it was cloudy, we were very warm, even on the water. The following day the four of us drove to the town of Stanley on Hong Kong Island’s south coast, originally a fishing village but now a popular tourist attraction. What were traditionally fish stalls now sold inexpensive clothes, accessories, Oriental knick knacks, souvenirs and other touristy goods. Rita and Brian had lived and worked in Hong Kong for many years so knew the area well and we were soon comfortably settled their favourite bar enjoying a refreshing beer or two. This entry was posted in Hong Kong by Mopelia. Bookmark the permalink.